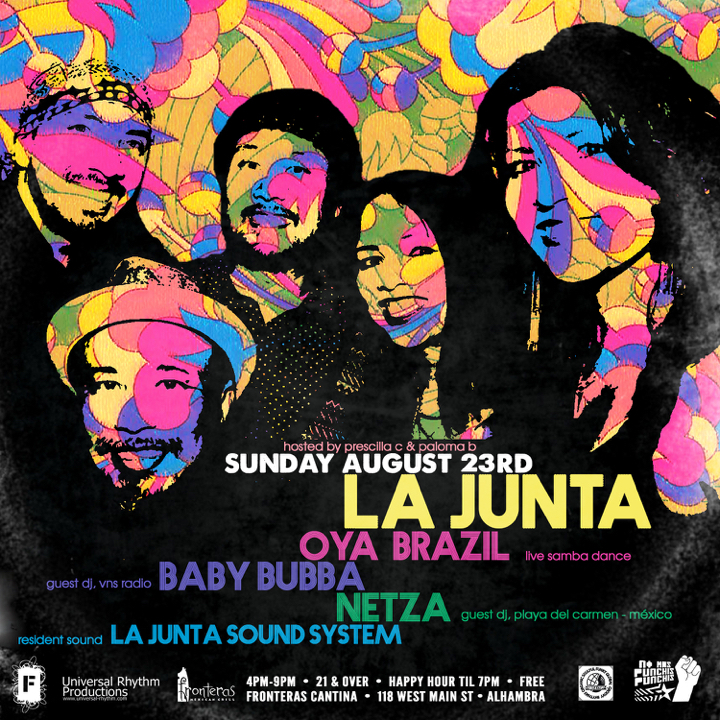 23 AUG 2015: LA JUNTA x OYA BRAZIL, BABY BUBBA & NETZA!!! | GLENN RED L.A.
23 AUG 2015: LA JUNTA x OYA BRAZIL, BABY BUBBA & NETZA!!! Here’s my latest flier for La Junta! This coming SUNDAY AUGUST 23rd, La Junta continues to smolder as we welcome Daniela Brazil Hollywood’s ‘OYA BRAZIL’ in a fully costumed (or should we say ‘barely’ costumed?) live samba dance show! Needless to say, the boys are looking forward to this one 😉 We’ve also invited longtime homie BABY BUBBA from Vibes & Stuff Radio and Soul Sessions to help us keep fanning the flames, as well as a new friend we met two years ago from way down in Quintana Roo while the La Junta fam vacationed in Playa Del Carmen, México. The man’s in town ready to get down in LA just before joining Osunlade, Nickodemus, and Sabo at Burning Man… hope you’ll join us in welcoming our amigo, representing the NO MAS Punchis Punchis stylee–NETZA!